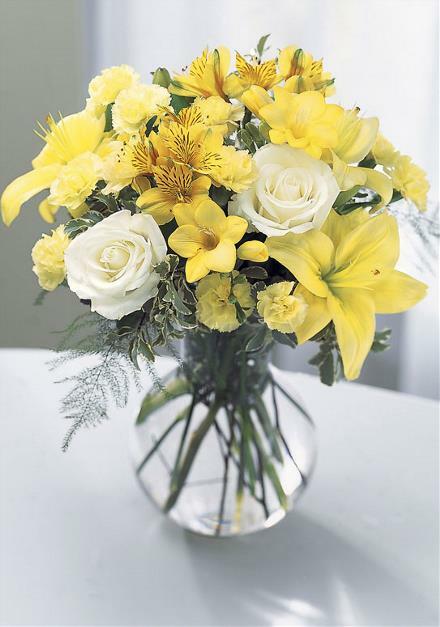 Two enchanting white roses are surrounded by sunny yellow Asiatic lilies, yellow mini carnations, freesia and alstroemeria. Sure to bring delighted smiles along with your best wishes. Florist Notes: Add to your gift with a box of delicious chocolates, a teddy bear and/or some themed mylar helium balloons. Order a large card for the perfect message.